Update: This article was merged with Bitter Sweet Symphony: the controversy on July 5, 2016. It remains here for archival purposes. 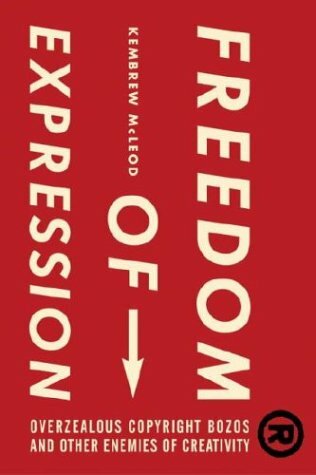 In Freedom of Expression: Overzealous Copyright Bozos and Other Enemies of Creativity , Kembrew McLeod claims that current copyright law has been taken over by corporate types and instead of promoting the creation of new work, it stifles it. "By caving in to the demands of overzealous copyright bozos, you could end up like The Verve, a popular British band that scored a major worldwide hit in 1997 with “Bittersweet Symphony.” The Verve negotiated a license to use a five-note sample from an orchestral version of one of the Rolling Stones’ lesser hits, “The Last Time,” and received clearance from Decca Records (sound comparison here). After “Bittersweet Symphony” became a hit single, the group was sued by former Stones manager Allen Klein (who owns the copyrights to the band’s pre-1970 songs because of aggressive business practices). He claimed the Verve broke the agreement when they supposedly used a larger portion than was covered in the license, something the group vehemently disputed. The Verve layered nearly fifty tracks of instrumentation, including novel string arrangements, to create a distinctly new song. In fact, the song’s signature swirling orchestral melody was recorded and arranged by the Verve; the sample from the instrumental record is largely buried under other tracks in the chorus. The band eventually settled out of court and handed over 100 percent of their songwriting royalties because it seemed cheaper than fighting for a legal ruling that might not end in their favor. As if things couldn’t have gotten worse, they were then sued by another old Rolling Stones manager, Andrew Loog Oldham. Klein went after the Verve for infringing on the songwriting copyright, which he owned, but Oldham possessed the copyright on the sampled sound recording. They totally lost everything. Not only couldn’t the Verve earn money from their biggest hit, they were stripped of control of their song. For instance, after the group refused Nike’s request to use “Bittersweet Symphony” in an ad, the shoe manufacturer aired the song after it purchased a license from Allen Klein. Ashcroft quipped that it was “the best song Jagger and Richards have written in twenty years.” He then suffered from a nervous breakdown and the group eventually broke up." David Whitaker, the arranger of the Rolling Stones' Songbook, wrote the original orchestral piece for "The Last Time," and received absolutely no credit during the legal challenge. If anyone, he, not Jagger/Richards, nor Andrew Loog Oldham, and certainly not Allen Klein, should have received credit for "Bitter Sweet Symphony." 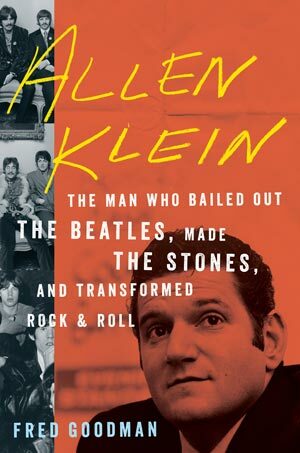 Below is an excerpt from the book Allen Klein: The Man Who Bailed Out the Beatles, Made the Stones, and Transformed Rock & Roll by Fred Goodman (2015). Original link here. Klein had another odd win practically fall into his lap courtesy of the British rock band the Verve. Indeed, Klein was ultraprotective. ABKCO was happy to support writers who wanted to collaborate with other artists, but he saw sampling as a dilution of a work’s viability and didn’t want to encourage people to use samples and then negotiate retroactively. That was precisely what the Verve’s musicians were trying to do. 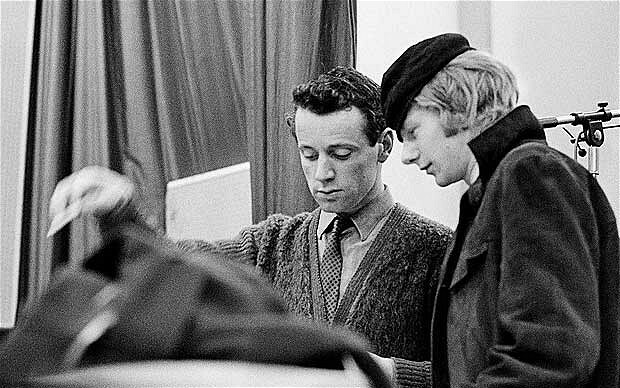 In this case, the sample, used in a song entitled “Bitter Sweet Symphony,” was taken from an instrumental version of the Rolling Stones song “The Last Time” that had appeared on an album by the Andrew Loog Oldham Orchestra. The Verve had cleared the rights to sample the recording from Decca Records, but they hadn’t thought about getting permission for the underlying composition until after the fact. The irony was that the segment lifted from the Oldham recording didn’t sound a bit like the original Stones song, and the arranger who’d written the riff, David Whitaker, wasn’t even listed as a composer. As it stood, the credits for “Bitter Sweet Symphony” were shared between Verve vocalist Richard Ashcroft and Mick Jagger and Keith Richards. But the record couldn’t be released without the permission of Jagger and Richards’s publisher, ABKCO Music. At a loss, Summers let his record company take a whack at it. Ken Berry, the head of EMI Records, came to New York and called on Klein. He played Klein the completed Verve album, Urban Hymns, which EMI’s Virgin label was betting would be a big hit. And “Bitter Sweet Symphony” was its obvious lead single. So Allen could appreciate how imperative it was that he grant a license. “Oh, f—,” said the head of EMI Records. Klein let a day or two pass before calling Berry. He realized EMI and the band were in a bind, he said, and he was willing to make an exception to his rule and grant a license — if Ashcroft sold ABKCO his rights as lyricist and the company became the sole publisher of “Bitter Sweet Symphony.” The bargain was made; Richard Ashcroft was paid a thousand dollars. The deal was as unsparing as any in Klein’s career; he held all the cards, played them, and raked in the pot. When music photographer Mick Rock happened to call Klein that day to see how he was, it was obvious to him that Allen was enjoying himself. “I was very bad today,” he said. The album did, in fact, become a hit, and the sampled riff in “Bitter Sweet Symphony” was a stadium-ready crowd pleaser that would prove extremely popular for use at sporting events. ABKCO actively exploited the composition, licensing it to be used in commercials around the world for various products, including Nike shoes and Opel automobiles. When the band decided the song was being overexposed and overused, they declined to license the original recording for any more commercials. As the publisher, ABKCO instead commissioned its own recordings for commercial use. To date, “Bitter Sweet Symphony” remains one of ABKCO’s best-earning compositions. For Klein, the old lion, it was the chance to linger over one last big kill. For Jagger and Richards, “Bitter Sweet Symphony” produced both a payday and a Grammy nomination for Song of the Year — pretty good, considering they had nothing to do with it and it didn’t sound anything like what they’d actually written.